All too often, dreams are are unobtainable. My sailing experience has been limited to several years of sailing and racing an 8 foot Sabot as well as crewing in races a handful of times and a few day trips in boats in the 30 foot range, and many years of board sailing, starting with a Windsurfer One Design only a few years after they came out, and ending up with a Bic Electric Rock which I sailed at the Squamish Spit for about ten years. The Electric Rock is probably considered very dated now, and fairly heavy by today's standards, but it was fast. Even though sailing at 30 knots was fun, my dream was to sail in a boat that I had built. I didn't want to dream "too big" and set a goal that is unobtainable. I spent a lot of time looking around and PocketShip seems like an ideal starting point... or it just might be what I've always been looking for. Time will tell! I ordered the plans for the PocketShip on July 6 2009, along with plans for a Wood Duck 10 and an Eastport Pram. I have already picked out a name - Orca, after the famous line by Police Chief Brody in the movie Jaws... "You're gonna need a bigger boat!" 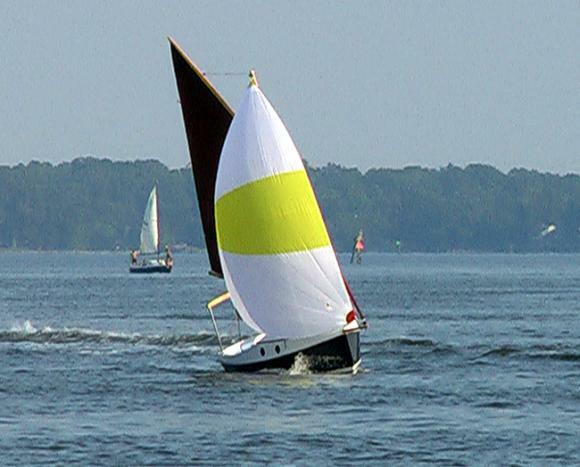 The PocketShip is designed by John C. Harris. Full details can be seen at www.clcboats.com.